The Heavyweight unification fight the world has been waiting for between Anthony Joshua MBE and Joseph Parker will take place at Cardiff’s Principality Stadium on March 31, live on Sky Sports Box Office. Joshua and Parker have agreed to put their IBF, WBA Super, IBO and WBO belts and unbeaten records on the line, ending a period of intense negotiation between the rival camps. The winner-takes all contest will put the winner within touching distance of becoming the first undisputed Heavyweight champion of the world since Lennox Lewis in 1999. “I would like to announce the official news that myself and Joseph Parker will be fighting on March 31 at Principality Stadium in Cardiff,” said Joshua. “It is a unification Heavyweight championship fight, we all know what happened last time I was in a unification Heavyweight championship fight, it was gruelling, it was interesting and we both left the ring with masses of respect. WBO champion Joseph Parker said he was relieved the contractual negotiations had now been concluded as he could now fully concentrate on the job in hand. “Anthony Joshua is in for a huge shock,” Parker said. “A couple of months ago I heard him say ‘why should I be worried about this little kid from New Zealand’? 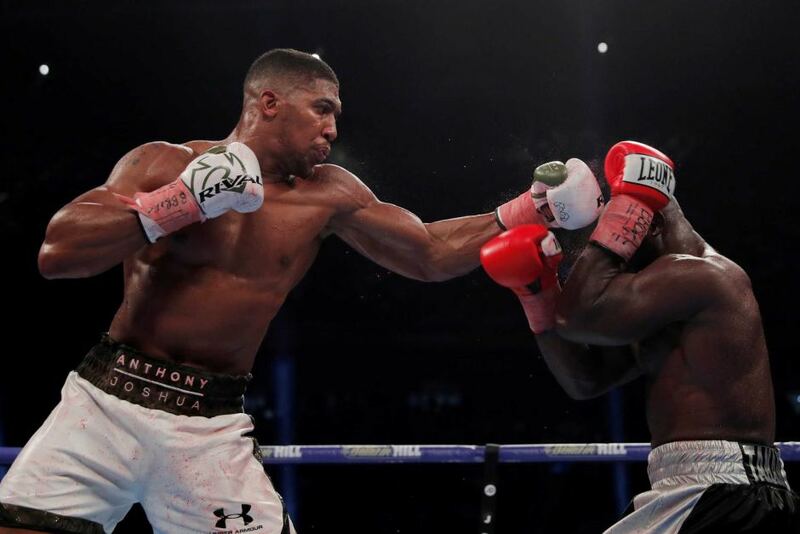 Joshua returns to the scene of his last action in the ring, where Carlos Takam became his 20th win inside the distance from his 20 pro fights, the fourth defence of his IBF crown and first of the WBA Super and IBO belts he landed in his epic battle with Wladimir Klitschko at Wembley Stadium last April. “I’m delighted to get this fight made – it’s been a long time coming,” said Joshua’s promoter Eddie Hearn. “Champions should fight Champions and AJ continues to step up to the challenges. Parker’s last fight was his first in England as he defended his WBO strap for the second time, outpointing Hughie Fury in Manchester in September, moving to 24-0 with the win. The 26-year-old became New Zealand’s first heavyweight world champion when he landed the WBO strap in December 2016 against the undefeated Mexican American star Andy Ruiz in Auckland. He comfortably defended the crown for the first time against giant Romanian Razvan Cojanu in May. Parker’s promoter David Higgins paid tribute to Hearn and Matchroom Boxing for the up-front way they had handled negotiations. “Eddie has been great to work with from day one,” Higgins said. “I know we ruffled a few feathers along the way but, as Eddie acknowledged, when you come from a small country and people perceive you as a small player, sometimes you’ve got to make a bit of noise. “New Zealand might be a tiny country on the other side of the world but it has a hugely proud sporting tradition – and a particularly strong tradition when it comes to whipping mother England. “Joseph Parker is the absolute epitome of the Kiwi sporting battler. It has been said that he is punching above his weight, but he didn’t become WBO heavyweight champion by being lucky. An announcement on on-sale dates, ticket prices and travel packages will be made soon.